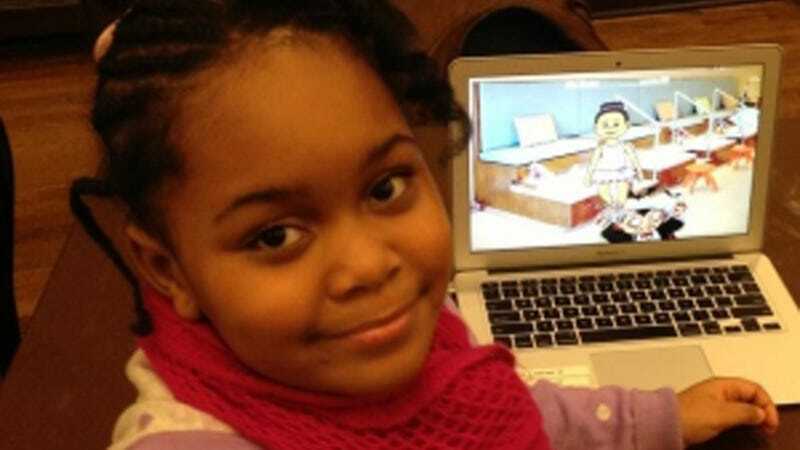 Pint-sized programming wizard Zora Ball is now the youngest person to create a full version of a mobile application video game. A first grader at Philadelphia's Harambee Institute of Science and Technology Charter School, she's already more accomplished than everyone you know. Consequently, we should all go eat a tub of peanut butter and cry ourselves to sleep. Ball built the app in the Bootstrap programming language, and unveiled her game at FATE's "Bootstrap Expo" at the University of Pennsylvania. Apparently some grumpy olds were suspicious that her older brother was really the mastermind behind the program, but Zora showed them. When asked to reconfigure the app on the spot, Ball showed naysayers what was up when she executed the request perfectly. "We expect great things from Zora, as her older brother, Trace Ball, is a past STEM Scholar of the Year," said Harambee Science Teacher Tariq Al-Nasir. No pressure, baby geniuses, but there's an entire world for you to save. Please hurry.